Great all round boot. This Airborne cadet boot is lightweight and waterproof. With sturdy sole unit and padded collar for comfort.This is one of bets boots for the price on the market. This Cadet Airborne boot is safe from metal detection in airports.. A -eyelet system gives it a more comfortable fit. laces that will not snap at a heavy pull The heel is also energy absorbing and anti-static. 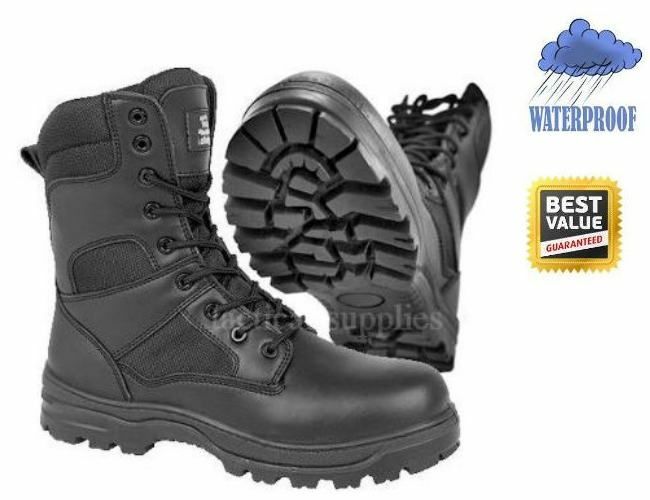 These are very good waterproof boots for cadets and security etc. Made with best materials for extra comfort. This is one of our best selling boots due to its qualities and price. At cadets uk we try to offer the best prices on the market.